William Bayer’s TANGIER, a sweeping novel of romance and intrigue set in a fabled North African resort, may remind some readers of Lawrence Durrell’s The Alexandria Quartet. This is the first of Bayer’s novels to be built around the character of a detective. Bayer and his wife, Paula Wolfert (an authority on Morocco cooking) lived in Tangier for some years as expat writers. In this novel of expatriate life, Bayer depicts Tangier as more than a picturesque city on the Straits of Gibraltar; he describes it as a place of unholy loves. Here titled Europeans, Morrocan hustlers, aging former Nazis, and decadents of every sort play out their rituals, competing for stunning lovers and social power. Their schemes and passions are a subject of fascination to the hero of the book, a brilliant young Moroccan police inspector, Hamid Ouazzani. Hamid is in charge of the office that watches and deals with Tangier’s foreign colony. Even as he is fascinated by what he sees, he is also repelled, searching always to understand the privileged foreign colony, to unravel its weave of secrets. He finds the key, finally, in the person of a beautiful Eurasian woman, whose own mysterious past he manages to unveil. Through her eyes he comes to see Tangier in a new way. Sustained by her love he rediscovers the city and finds a different role in it for himself. Against the drama of this love story other characters emerge: An America Consul becomes embroiled in an affair with his Vice-Consul’s wife. A retired British character actor strives to preserve his dignity as his friends betray him and he feels an intimation of his death. A Canadian gossip columnist struggles not to lose himself in the gay world of Tangier. There is a young Frenchman corrupted by his love for an older woman; a radical Arab surgeon; a fifth-rate Soviet spy — a “burnt-out case”; squabbling writers; cruel social arbiters; a famous artist obsessed with a male prostitute named “Pumpkin Pie”. Watched closely by the police inspector as they slip in and out of each others’ lives, these and other characters ignore the storm that gathers slowly above their town. In the end it sweeps them up with dizzying force. 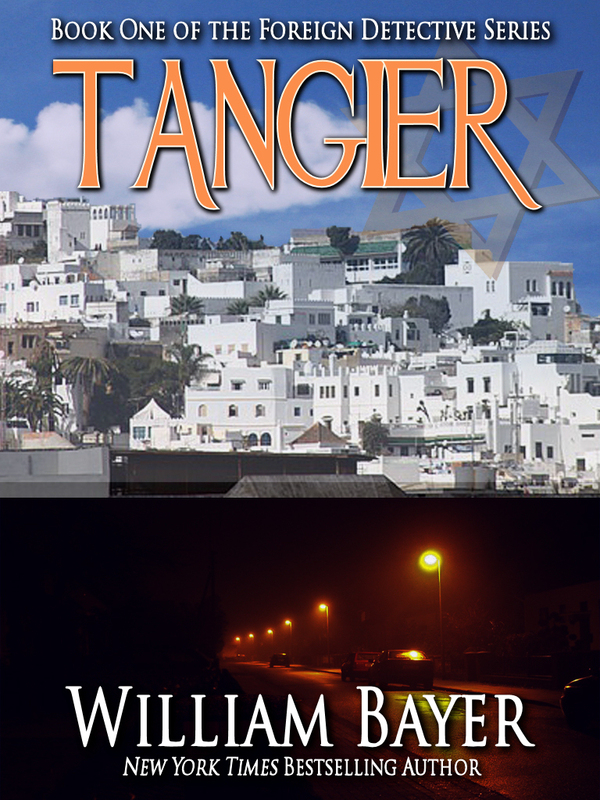 Tangier is revealed in a violent and dazzling finale.